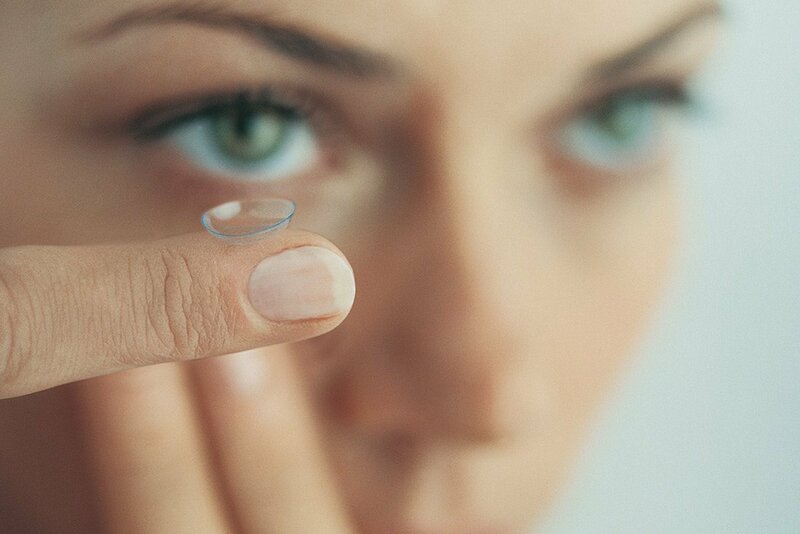 This is part three in our series about contact lenses. Read part one at Contacts: Choices, Benefits, Buying and part two at Multifocal Contacts: Benefits & Options. Acuvue Advance for Astigmatism is a popular choice for toric contacts. Before one can correct astigmatism, one must understand what it is. Astigmatism is usually caused by either an irregularly shaped cornea (cornial astigmatism), or by an irregularly shaped lens, called lenticular astigmatism, and is located behind the eye. Most don't even realize that they have astigmatism because the symptoms are fairly small, such as slightly blurred vision, occasional headaches and eye strain. It may even distort and blur your vision at all distances and is found in both children and adults. Astigmatism is caused by the cornea being an unusual shape, more like a oblong than a perfect sphere, and a person is either born with it, or it may have been caused by an accident. Astigmatism can be corrected relatively easy with contact lenses or eye glasses, unless it is extreme. Toric contacts were especially designed for people with astigmatism. This type of lens has two functions. The first is to correct the spherical refractive error, and the second is to reconfigure light rays that are unevenly refracted due to the astigmatism. These lenses exist in rigid, gas-permeable as well as soft lenses. When these lenses were first out on the market, they were not as reliable or as comfortable as they are today. With Focus Dailies Toric 30pk you replace your contacts each day. They are now made to be both comfortable and effective and there are some that can be worn comfortably up to 30 days. Some contacts for astigmatism are tinted, giving your eye a whole new look. There are also daily disposable and progressive lenses that are now available as well. These contact lenses are designed to give you more power in one direction and less power in the other direction, therefore correcting the astigmatism and allowing you to have and enjoy a better quality vision. Toric contacts are designed to stay in one position on your eye because moving will cause the vision of the wearer to become distorted. If your eye doctor has told you that you have astigmatism, then it is important that you get the right contact lens to help you have better vision. Your doctor will be able to help you find the right prescription that will help you achieve this. Astigmatism should not go untreated but should be taken care of early on. With Toric contacts, you will be able to achieve a clear and better vision. Contacts for astigmatism include Air Optix for Astigmatism, Biomedics Toric, Bausch Lomb Optima Toric, Acuvue Oasys for Astigmatism, Biofinity Toric, CSI Toric, Focus Toric, Frequency 55 Toric, Frequency 55 Toric XR, Preference Toric, Preference Toric XR, ProClear Toric, PureVision Toric, Soflens Toric, Vertex Toric and Vertex Toric XR. This is the third of a series of articles on contact lens options.